Shopping for Doctor Who Sweatshirts? 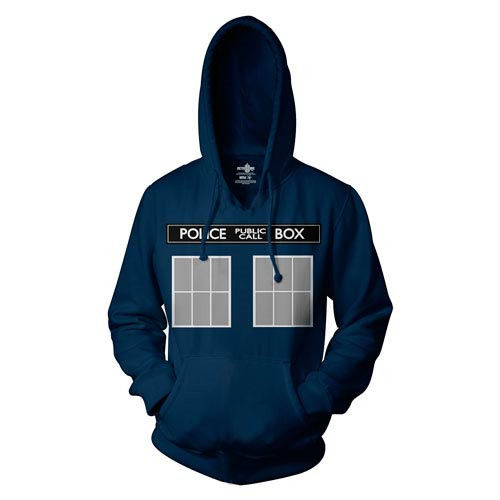 The Doctor Who TARDIS Call Box Hoodie is a fantastic piece of apparel for fans of the Doctor Who series! When you don this great hoodie, you'll be disguising yourself as a Space and Time Traveling Device that's disguised itself as a Public Police Call Box. It's almost as complicated as the concepts behind Time and Space Travel, themselves!